We won't receive you in APGA - Uche Onyeaguocha warns Governor Rochas Okorocha. In a bid to save his political career and future, the Governor of Imo State Rochas Okorocha has made moves to join the All Progressives Grand Alliance APGA Political Party. Rochas Okorocha made this move having lost out in the just concluded All Progressives Congress APC Ward Election held in Imo State where he failed to install his loyalists in various key positions in order to preserve his political dynasty. Of great importance to the serving Governor is the enthronement of his son-in-law Uche Nwosu as the next Governor of Imo State. Onyeaguocha Condemns Governor Okorocha's Move to Join APGA, applauds APGA Leadership For Rejecting His 3 Billion Naira Offer. Hon Uche Onyeaguocha, a frontline APGA governorship aspirant in the state has condemned in strong terms the clandestine moves by Governor Ethelbert Okorocha to join APGA. Hon Onyeagucha also applauded the leadership of the party for rejecting his 3billion naira offer. Consequently, we are aware that since last week now, Governor Okorocha who was humiliated in the ward Congresses of his party by the allied forces of APC coalition in the state has been making surreptitious moves through the leadership of the party to defect to APGA to enable him perpetuate his third term agenda. We have stated this severally that Governor Okorocha is in self succeeding mission to rule the state to perpetuity to enable him to continue to loot the state dry. Now, we have been vindicated. This battle-for-survival and last minute scheming of Governor Okorocha to join APGA has indeed confirmed the level of his desperation towards making his son-inlaw the next Governor of the state. This is a man who rose to political limelight as governor of the state through the platform of APGA and later dump the party for his egocentric interest. Today, Governor Okorocha is approaching the same party he dumped and had on several occasions described as a social club and NGO that has no capacity to win elections. Also, it was the same Governor Okorocha who had on several occasions admonished Imolites not to identify with any party that is not at the center. Today, he is turning back negotiating to join the same party he said has no capacity of winning elections. Such a chameleonic lifestyle is highly repulsive. Yes, we understand his present predicament as a confused politician who is now in a crossroad of his end-time adventurous voyage, but we can only sympathize with him on his journey to early political retirement.No political party will ever admit Governor Okorocha because his presence will bring a colossal failure to the party. 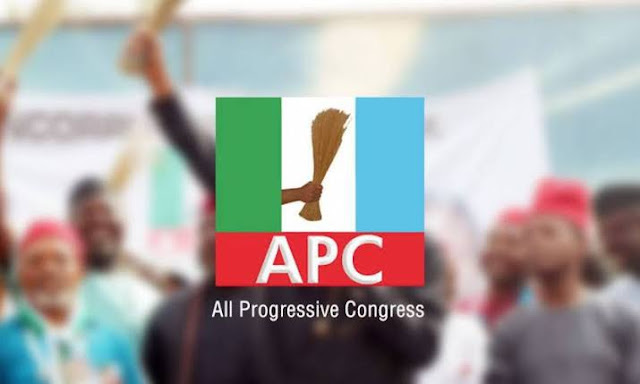 Before contemplating joining APGA, he should first apologize to Imolites for the atrocities he has committed against the people of the state.Finally, we sincerely advice him to remain in his party APC and continue to search for the missing Result Sheet, Who knows, he may find the Result sheet and bounces back as a political Maradona he claims he is. This is our candid advice.